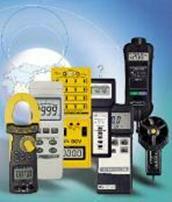 Inverters | Test and Measurement Instruments C.C. 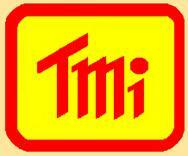 75W Cigarette lighter inverter. Car 12V DC Input giving out 220V AC Output. Ideal for charging Laptops and other similar equipment. This is a Standard stock Item. 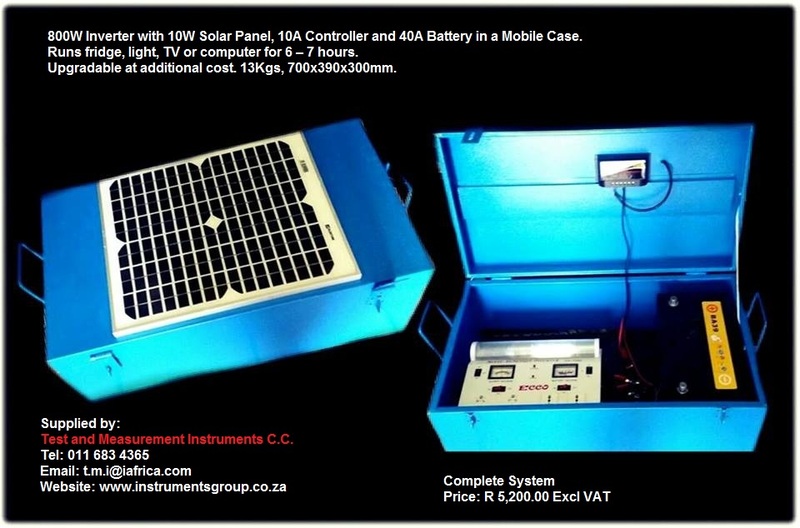 800W inverter with 10W Solar Panel, 10A Controller and 40 A Battery in mobile Case. Runs fridge, light, TV or computer for 6 – 7 hours. Upgradable at additional cost. 13Kgs, 700x390x300mm. An Inverter powered by batteries which are charged by solar panels is the answer to silently and conveniently power electrical appliances and circuits such as TV’s, Fridges, lighting, computers and more when the supply is interrupted.